France does vigilantly observe them. The Royal House and Downing Street belong to their customers. They receive more and more applause during the international tastings. There are not that many winemakers in England, however partly they convince with outstanding quality, especially in the category of sparkling wines. Well, the British Isles are not primarily known for their wine culture. Also the UK-weather, at best is unpredictable, does not seem to be convenient for cultivating the sun-hungry vine, much less for organic winegrowing. Basically, it is more about dare, modern farming methods and valuable experience with the fungus-resistant cultures, which are certainly relevant for the increase in the number of small wineries carrying on the heritage of the medieval abbeys in England and Wales, and even supposedly of the ancient Romans. Before the renaissance, the commercial English winemaking went through a stillstand gap of more than 25 years during the 20th century. Only after the Second World War two pioneers, Ray Barrington and Edward Hymans succeeded to breathe new life into winemaking tradition, for their reasons. One of them was a chemical scientist awarding a research contract to himself to discover which grape varieties are the best to thrive in the British Isles. The other one’s occupation was to write books about horticulture. He maintained his vineyard for research purposes. And finally, the Major-General Sir Arthur Guy Salisbury-Jones joined both pioneers and planted 4000 vines in the county of Hampshire, and in 1955 he sold first British wine since the end of the First World War. Things have been improving since then – especially the 1960s and 1970s was the period of significant increase in the number of the vineyards. 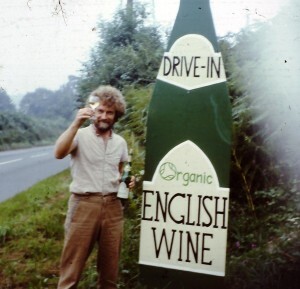 Towards the end of the 1970s, another pioneer of the British viticulture decided to plant his first vines: Roy Cook – a degree holder in psychology and philosophy at University College, Cardiff, an idealist and the avant-gardist of the British organic wine cultivation. 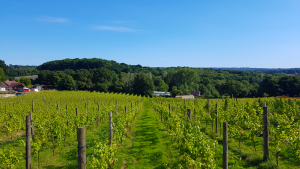 Sedlescombe, established in the County of Sussex in 1979 is the oldest organic vineyard in the British Isles. 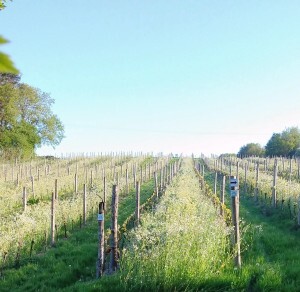 What was then described as a self-sufficient organic farming experiment, now became one of the most successful wine-growing estates and sparkling wine producers of the country led by the winemaker who has been acquiring knowledge about organic and biodynamic wines since almost 50 years and also works as a consultant. For several years now, Sedlescombe has been participating in the international organic wine award achieving brilliant results with its outstanding sparkling wines as well as other products like, for instance, 2016 gold awarded PIWI-Rosè. In this interview, Roy reveals his way from philosopher to an adventurous organic gardener and finally becoming a winemaker. Furthermore, we talk about the relevance of PIWIs for his vineyard and the impact of the climate change for England. 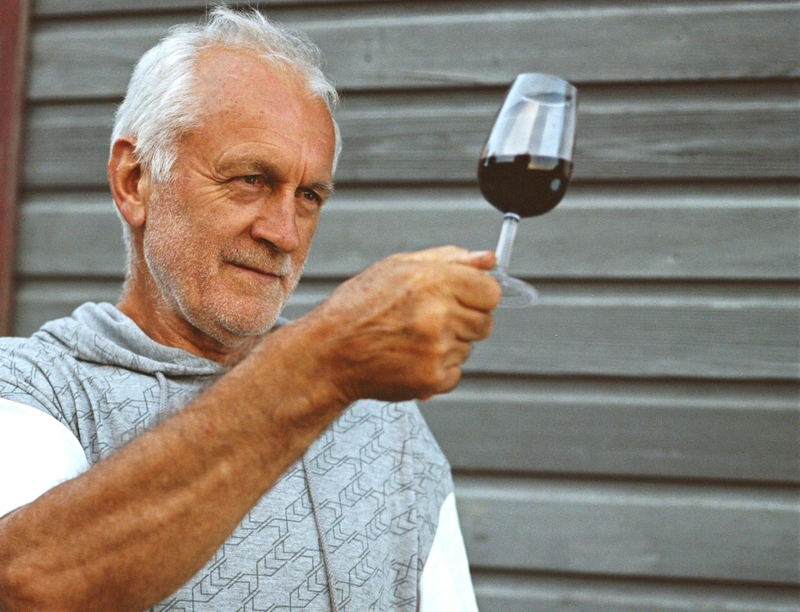 Mr. Cook, as a philosopher, psychologist and English teacher in Germany…how did you get the idea to start an organic farm at Sedlescombe, plant a vineyard and, eventually, become a winemaker? And what was the story about that pea-pod-wine? Roy Cook: I inherited the land from my Grandfather in 1968, although I didn’t visit it until 1974. Along with my girlfriend at that time we set out to achieve Self-sufficiency or The Good Life as it became known (after a popular television programme of the day). We quickly realised that even becoming self-sufficient in vegetables was quite challenging let alone all the other things that are needed for a civilized life (matches, saucepans, books, etc.). I did become a very competent organic gardener, however – and amateur wine maker, too. Making wines from many different fruits and vegetables, including my famous pea-pod wine! So wine-making was a hobby before it became my profession. I am a self-taught wine-maker, mostly from German books such as ‘Kellerwirtschaft’ from ‘ Das Deutsche Weinmagazin’ publishers Dr Fraund Verlag. Are you, as organic winemaker, still kind of an ‘alien’ amongst English producers or is the number of eco-certified wineries increasing? Roy Cook: Although I was the first to try growing grapes organically in England in1979, today there are around 25 vineyards which are either organic or biodynamic. Sedlescombe was also the first English vineyard to release a certified Biodynamic English wine which we did in 2010. We have read that the most frequently cultivated grape varieties in England and Wales are Chardonnay, Pinot Noir and Pinot Meunier, and – as we know from international tastings – that sparkling wine from England is on the rise. What makes the conditions in your vineyards so suitable for its production? And do you personally consider the traditional champagne varieties the ideal ones? Roy Cook: Yields are often lower in England and Wales than on the Continent and in order to be financially viable growers and wine makers have sought to add value by developing various styles of wines, which is where Sparkling wines come in. Especially when it was realised that grapes grown here have an acid balance that is well suited to sparkling wines. The classic Champagne varieties still need a very good site in order to produce good quality base wine for sparkling. Whilst we do have one or two exceptionally good sites, we have chosen to plant red varieties, such as Regent there as we are endeavouring to grow grapes with a bare minimum of disease control sprays in accordance with EU organic standards. We do grow a small amount of Pinot Noir at our other good site, so we know that variety grows well using only copper and sulphur for disease control sprays. Chardonnay and Pinot Meunier are likely to require a bit more of this, so we are using other varieties such as Johanniter and Seyval Blanc along with Pinot Noir for our Premier Brut biodynamic Sparkling white which produces a very good quality bubbly even without the classic varieties – and with much less copper input. It is often said, that the effects of global warming have their part in the flourishing of the English wine industry. Have you observed, or maybe even documented, significant changes in climate for your region? Or have the seasons instead of becoming even more unpredictable and thus more complicated, especially for organic farming? 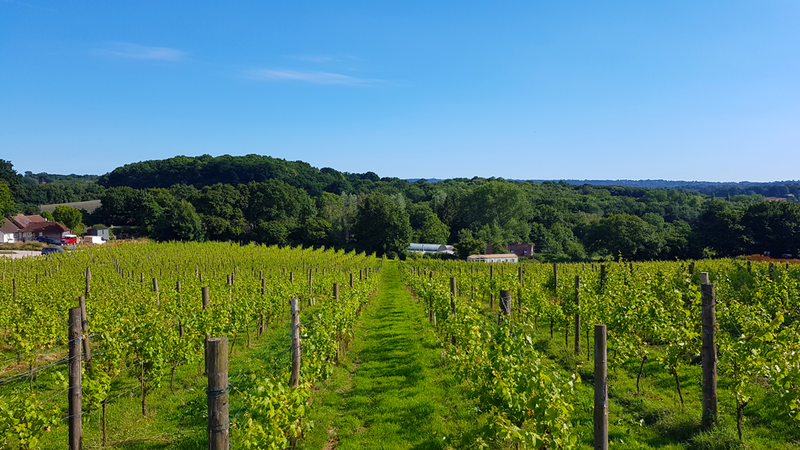 Roy Cook: Over the 38 years that I have been making English wine here at Sedlescombe, we have noticed harvests have got earlier. For example, we used to ALWAYS harvest Reichensteiner on the last weekend of October (and then after the day spent picking go along to the Guy Fawkes bonfire and fireworks celebrations at our next village at Staplecross. Nowadays, however, we harvest this variety in mid-October, or in a very early year like last year, at the beginning of October. We did also have the wettest summer for 200 years in 2012 which meant the yield was only a quarter of a normal yield. Like many areas across the Continent we had severe late spring frost in 2017 – the first since 1997, which caused considerable losses on 2 of our 4 vineyards. Some varieties on these frosted sites fared better than others. Solaris seemed to recover better than other varieties and produced a near normal yield despite the frost. And last, but not least – what’s your prognosis for the 2017 vintage? Has the climate been as challenging, as it was here in Germany? Roy Cook: 2017 seemed to be a near perfect year AFTER the frost and those sites and varieties that were not frosted did really well for both yield and quality. Thanks for your time, Mr. Cook, and all the very best for the year ahead! Dieser Beitrag wurde unter Allgemein, Bioweinpreis, English Posts abgelegt und mit English Wine, fungus resistant grape varieties, international organic wine award, Organic Sparkling Wine from Sussex, Organic wine from England, Roy Cook, Sedlescombe Organic Vineyard verschlagwortet. Setze ein Lesezeichen auf den Permalink.